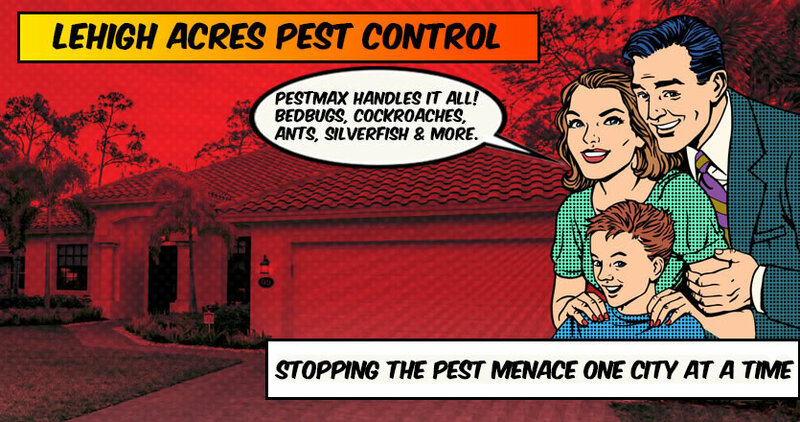 When pests are getting you down in Lehigh Acres, call PestMax®. Our pest control services are second to none. Cockroaches have nowhere to run when PestMax® is called. 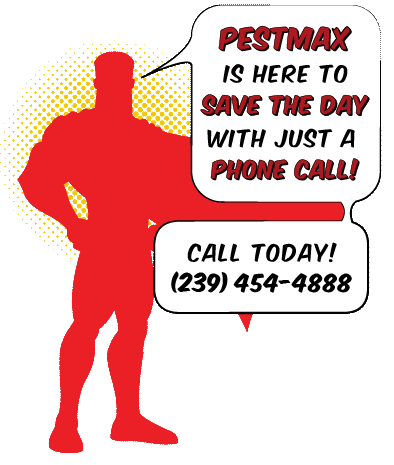 Ants run the other way when they hear a PestMax® hero knock on the door. Our Lehigh Acres exterminators can end your silverfish, bed bugs, termite troubles and more. Just give us a call. We offer free pest control inspections to narrow down the culprit plaguing your home or business. Our pricing packages are certain to have the right solution to both your immediate pest control treatment and your ongoing pest prevention needs. From Alico Road to Estero Parkway, San Carlos Park is home to some of the loveliest neighborhoods in all of Southwest Florida. A pest infestation can make those homes seem a little less lovely, but have no fear! 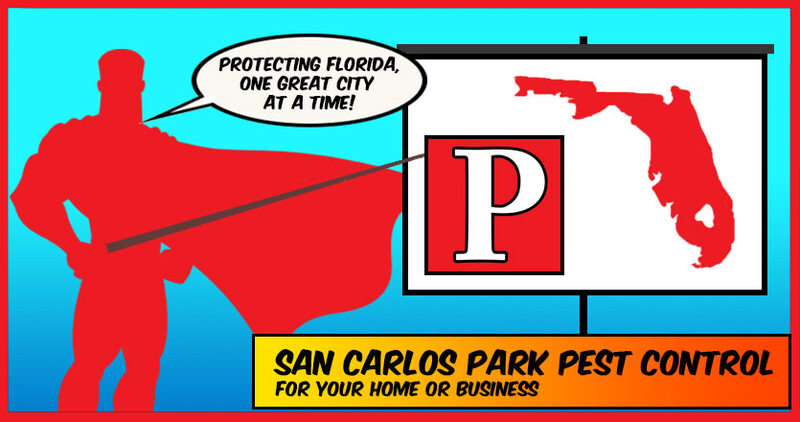 The pest control heroes of San Carlos Park are just a phone call away. Silverfish, bed bugs, termites, and more are no match for our expert exterminators. During our free pest control inspection, we determine the type of pest menace plaguing your home or business. We offer pricing packages that fit your exacting pest control needs. Ongoing pest control visits from a member of our team will help keep insects and pests from reestablishing a foothold. Estero, Florida is a great place to live and work. It can’t be beat for beautiful home communities, fine dining, great shopping, and memorable events. 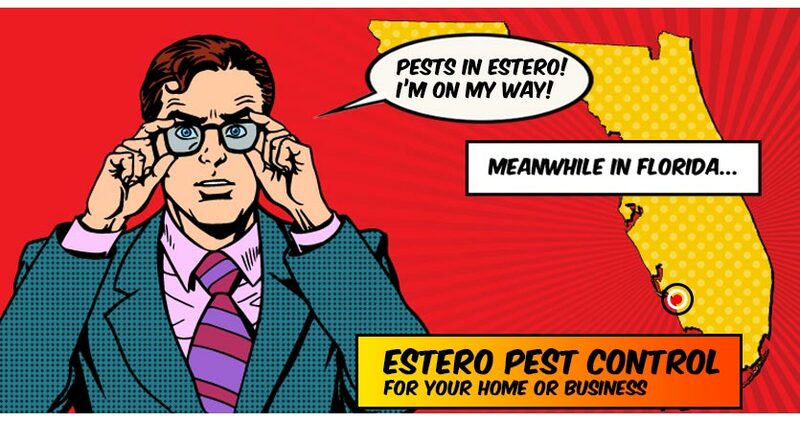 With so much to do in Estero, the last thing on your mind should be dealing with unwanted pests in your home or business. That is why the Estero Exterminators of PestMax® have made it our mission to end your pest problem. Tell those unwanted critters and insects that your home or business is off limits with our professional full-service pest removal pricing packages. From tenting for termites to kicking out cockroaches, our Estero Pest Control Experts are here to help! We offer free pest control inspections to discover the source and species of your pest problem.